This summer I took a much needed break and spent two months in my second home, Canada (my first being Nigeria, as I was born and mostly raised there). Two. Entire. Months. No work, or school. I don’t think I’ve had such a long holiday since I was in high school. Needless to say, it was heavenly. You’re probably wondering why there aren’t way more posts on here since I had ALL this free time, but you know what? I think it’s best we focus on the present. I’m here now. I have a bunch there and I love them. Also they might decide to unsubscribe if this isn’t the first item on my list. I know, I know, when people think of Canada, this is what they picture. But the thing is even though we have pretty cold winters, when it’s summer, it’s summer (speaking for Toronto and Montreal, at least). I’m talking back to back days of 22 degree weather and sunshine, endless barbecues, terrace hang outs and not this passive aggressive sometimes-cold -sometimes-spring-like - sometimes-heat-wave weather we get in certain places between June and August. I’m not naming names, but London I’m looking at you. 3. Central Air Conditioning, pretty much everywhere. Seriously, its a scientifically proven fact* that Canadians are the nicest people in the world. Look it up. They probably sent him off with some money for a fresh start too. I loved being able to drive without worrying about my car getting scratched by a tree branch, or another car. 6. 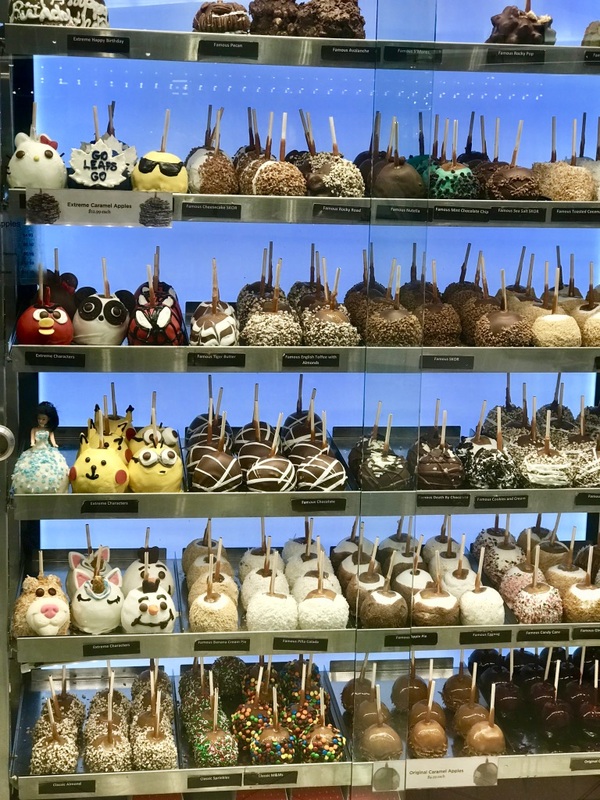 Candy apples. And poutine. And beaver tails. And maple syrup snow candy. 8. Being able to send and receive money via email. Because an email address is easier to remember than my account details. 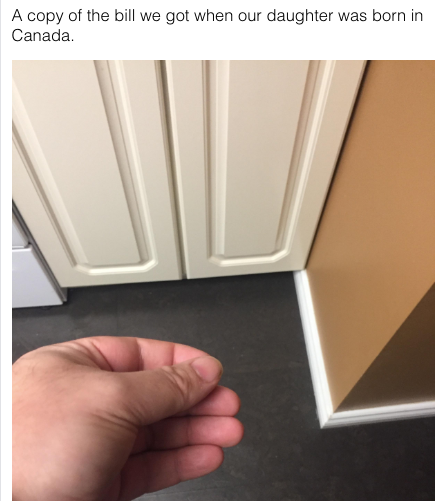 Yes, taxes are super duper high but I guess Canadians save so much on healthcare, they can afford to post jokes like this on the internet. All of that said though, it’s good to be back in good old London town!!! Do you have a soft spot for your “home”?